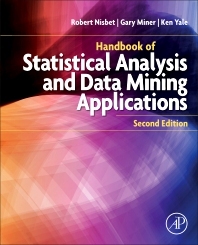 Handbook of Statistical Analysis and Data Mining Applications, Second Edition, is a comprehensive professional reference book that guides business analysts, scientists, engineers and researchers, both academic and industrial, through all stages of data analysis, model building and implementation. The handbook helps users discern technical and business problems, understand the strengths and weaknesses of modern data mining algorithms and employ the right statistical methods for practical application. This book is an ideal reference for users who want to address massive and complex datasets with novel statistical approaches and be able to objectively evaluate analyses and solutions. It has clear, intuitive explanations of the principles and tools for solving problems using modern analytic techniques and discusses their application to real problems in ways accessible and beneficial to practitioners across several areas—from science and engineering, to medicine, academia and commerce. 20. Significance versus Luck in the Age of Mining: The Issues of P-Value "Significance" and "Ways to Test Significance of Our Predictive Analytic Models"
Dr. Robert Nisbet was trained initially in Ecology and Ecosystems Analysis. He has over 30 years of experience in complex systems analysis and modeling, most recently as a Researcher (University of California, Santa Barbara). In business, he pioneered the design and development of configurable data mining applications for retail sales forecasting, and Churn, Propensity-to-buy, and Customer Acquisition in Telecommunications, Insurance, Banking, and Credit industries. In addition to data mining, he has expertise in data warehousing technology for Extract, Transform, and Load (ETL) operations, Business Intelligence reporting, and data quality analyses. He is lead author of the “Handbook of Statistical Analysis & Data Mining Applications” (Academic Press, 2009), and a co-author of "Practical Text Mining" (Academic Press, 2012), and co-author of “Practical Predictive Analytics and Decisioning Systems for Medicine (Academic Press, 2015). 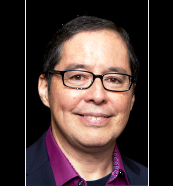 Currently, he serves as an Instructor in the University of California, Irvine Predictive Analytics Certificate Program, teaching online and on-campus courses in Effective Data preparation, and Applications of Predictive Analytics. Additionally Bob is in the last stages of writing another book on ‘Data Preparation for Predictive Analytic Modeling. Dr. Gary Miner received a B.S. from Hamline University, St. Paul, MN, with biology, chemistry, and education majors; an M.S. in zoology and population genetics from the University of Wyoming; and a Ph.D. in biochemical genetics from the University of Kansas as the recipient of a NASA pre-doctoral fellowship. He pursued additional National Institutes of Health postdoctoral studies at the U of Minnesota and U of Iowa eventually becoming immersed in the study of affective disorders and Alzheimer's disease. In 1985, he and his wife, Dr. Linda Winters-Miner, founded the Familial Alzheimer's Disease Research Foundation, which became a leading force in organizing both local and international scientific meetings, bringing together all the leaders in the field of genetics of Alzheimer's from several countries, resulting in the first major book on the genetics of Alzheimer’s disease. In the mid-1990s, Dr. Miner turned his data analysis interests to the business world, joining the team at StatSoft and deciding to specialize in data mining. He started developing what eventually became the Handbook of Statistical Analysis and Data Mining Applications (co-authored with Drs. Robert A. Nisbet and John Elder), which received the 2009 American Publishers Award for Professional and Scholarly Excellence (PROSE). Their follow-up collaboration, Practical Text Mining and Statistical Analysis for Non-structured Text Data Applications, also received a PROSE award in February of 2013. Gary was also co-author of “Practical Predictive Analytics and Decisioning Systems for Medicine (Academic Press, 2015). Overall, Dr. Miner’s career has focused on medicine and health issues, and the use of data analytics (statistics and predictive analytics) in analyzing medical data to decipher fact from fiction. 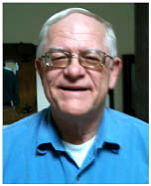 Gary has also served as Merit Reviewer for PCORI (Patient Centered Outcomes Research Institute) that awards grants for predictive analytics research into the comparative effectiveness and heterogeneous treatment effects of medical interventions including drugs among different genetic groups of patients; additionally he teaches on-line classes in ‘Introduction to Predictive Analytics’, ‘Text Analytics’, ‘Risk Analytics’, and ‘Healthcare Predictive Analytics’ for the University of California-Irvine. Recently, until ‘official retirement’ 18 months ago, he spent most of his time in his primary role as Senior Analyst-Healthcare Applications Specialist for Dell | Information Management Group, Dell Software (through Dell’s acquisition of StatSoft (www.StatSoft.com) in April 2014). Currently Gary is working on two new short popular books on ‘Healthcare Solutions for the USA’ and ‘Patient-Doctor Genomics Stories’. "Data mining practitioners, here is your bible, the complete "driver's manual" for data mining. From starting the engine to handling the curves, this book covers the gamut of data mining techniques - including predictive analytics and text mining - illustrating how to achieve maximal value across business, scientific, engineering, and medical applications. What are the best practices through each phase of a data mining project? How can you avoid the most treacherous pitfalls? The answers are in here. "Going beyond its responsibility as a reference book, the heavily-updated second edition also provides all-new, detailed tutorials with step-by-step instructions to drive established data mining software tools across real world applications. This way, newcomers start their engines immediately and experience hands-on success. "What's more, this edition drills down on hot topics across seven new chapters, including deep learning and how to avert "b---s---" results. If you want to roll-up your sleeves and execute on predictive analytics, this is your definite, go-to resource. To put it lightly, if this book isn't on your shelf, you're not a data miner." --Eric Siegel, Ph.D., founder of Predictive Analytics World and author of "Predictive Analytics: The Power to Predict Who Will Click, Buy, Lie, or Die"